It’s been quite a month, friends. Since my last post, Christmas Eve, describing the way our holiday went Not at ALL to Plan, we took another (final) trip to the Emergency Room with my eldest child — the one who tried to lose all her blood — and, well, I’ve been trying to stay afloat ever since. Good news is, she’s on the mend. Slower than we’d like, but on the mend. Bad news is, the crisis has passed, so it’s time for my nervous breakdown. Y’all, I AM SO GOOD IN AN EMERGENCY. 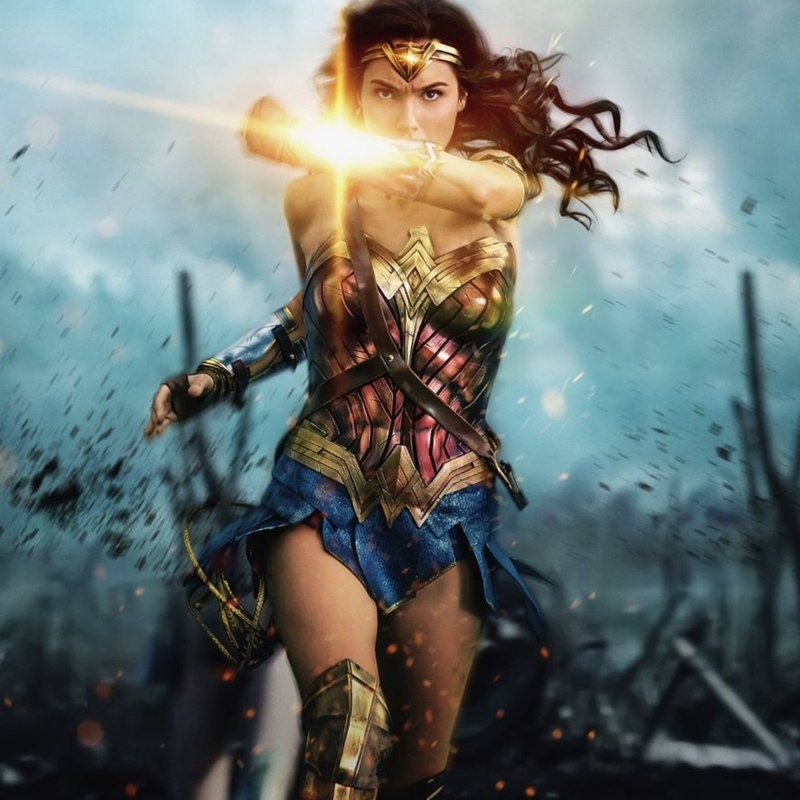 I am Wonder Woman times infinity. Magic arm braces. An unflagging sprint. Knockers for dayz (and confined in a spectacularly uncomfortable rig.) Flowing locks. Furrowed brow. Srsly, I’m so, SO good. I’ve found all it takes to rock an emergency, really, is putting one’s feelings on lock-down. In a vault. With chains. And a laser beam grid protecting the perimeter lest one finds oneself tempted to approach them. Then one may operate from a place of pure logic and calm. It may be a teeny, tiny bit Dexter-style psychopathic, but it’s SUPER effective. Eventually, a crisis ends. Which seems like a nice time to unlock those feelings, assess them, and manage them maturely. To feel the feelings, you know? Which I hear won’t kill you. But I like to keep them on lockdown, instead. To the molten core of the Earth. Where at some point, they will overheat and explode, causing more damage in the volcanic, erupting inferno than they ever could have had I unpacked them proactively. So here we are, several weeks past the crisis, and I’m starting to feel the shakes. I’m coping how I usually do. I’m eating my feelings which taste like potato chips and discounted Christmas candy. I’m having occasional moments of clarity and self-compassion. And I’m in full-on hiding mode. Maybe I’ll get dressed tomorrow. ¯\_(ツ)_/¯ It’s impossible to say. For now, I’m going to take one deep, incredibly slow breath, and I’m going to use my nice words, even about myself. Encouragement This isn't a real post. Yeah but are we there yet? I am so glad that I am not the only one! I tend to reach for anything chocolate when my emergencies arise because chocolate solves all of the worlds problems right?! Yep, that’s how it works. Day 7 of being in the ICU with the husband after a brain bleed (his), an old friend showed up from out-of-town with a bag full of goodies to see us (me) through another couple of days. That’s when I lost it, and not before then. And the kid who has been the walking wounded for 2.5 years, ever since that 23-foot fall onto his back? I only fall apart in the middle of the night when no one else can see. Rest, recover, and rise to battle again. I’m glad to hear I’m not the only one! I am pretty good in an emergency (I WISH I didn’t know that!) but the aftermath is quite ugly!!! Glad to hear you are all on the mend!! That was earth, not early LOL need more coffee!!! Oh man. My freshman year of college, my roommate had massive panic attacks on the regular – like, weekly. I was the rock. I knew where her inhalers were if it got to that point, I could see the symptoms like those epilepsy dogs, I was on a first name basis with the EMTs. I’m SO good in a crisis. And then I totally lose it once the need for cool-headedness is past. The stress of caretaking will always manifest – the sooner you get it over with, the better. My stress tastes like ice cream! Stay in bed as long as you need to! Waving in the dark from my puking and feverish baby’s aide. Tis the Season. Wahaving to everybody. Me included. I am glad you are feeling your feelings at last, even if you kept them chained up a little bit too long. I am feel my feelings in short, emotional bursts, entirely NOT in front of my husband who might actually be able to, you know, help. If it helps Trader Joe’s has stuffing flavored potato chips that really sooth the spirit especially with sour cream cranberry dip. Omg! You have a WALKING PATH in your room!!! I want one! Btw, chips are my weakness too. Nothing like the crunchy salty taste of heaven when the world is crashing down. My feelings sometimes taste like the Newberg DQ Blizzards (SO much better than Mac) and sometimes like warm fresh out of the oven Carmel Corn. So, I’m waving in the dark too. I feel ya, woman.